MEMBER’S CHOICE® Mechanical Repair Coverage can help deflect some risk of costly future, covered repairs keeping your vehicle running extra miles and extra years. With different coverage levels and deductibles to choose, there’s a plan to fit your family’s budget. 24-hour emergency roadside assistance: up to $100 per use. Includes towing, battery jumpstart, fluid delivery, flat tire assistance and lock-out service. No out of pocket expense at time of mechanical repair: (except for any deductible and any repairs not covered by the policy)–the covered repair is paid directly to the authorized repair facility. *Program details may vary by state. 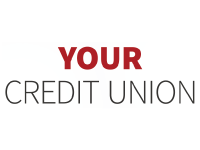 Ask a Member Services Representative for details or receive a quote by calling 906-632-5373. Mechanical Repair Coverage is provided and administered by Consumer Program Administrators, Inc. in all states except CA, where coverage is offered as insurance by Virginia Surety Company, Inc., in FL, LA , and OK, where coverage is provided and administered by Automotive Warranty Services of Florida, Inc. (Florida License #60023 and Oklahoma License #861338), all located at 175 West Jackson Blvd., Chicago Illinois 60604, 800.752.6265. This coverage is made available to you by CUNA Mutual Insurance Agency, Inc. In CA, where Mechanical Repair Coverage is offered as insurance (form MBIP 08/16), it is underwritten by Virginia Surety Company, Inc.
MRC-1613248.1-1016-1118 © CUNA Mutual Group 2016, All Rights Reserved.